Lieke Friederichs is a scientific advisor at the Dutch National Institute for Public Health and the Environment (RIVM), working on water, sanitation and hygiene. She is the RIVM Sustainable Development Goals 2030 project lead, exploring the strategic value of the Goals for science and cooperation in the health, public health and water domains. Lieke is also leading RIVM’s WHO Collaborating Centre for Risk Assessment of Pathogens in Food and Water, working with the UNECE, WHO and FAO. Within SOPHIE, Lieke will be working on the Future Scenarios project to help inform the Strategic Research Agenda. 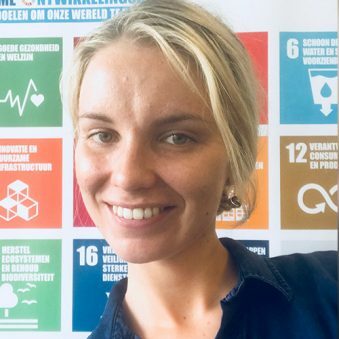 Lieke studied Political Science and Future Planet Studies at the University of Amsterdam and International Land and Water Management at Wageningen University. She has lived and worked in Mozambique, Canada and now lives in the port city of Rotterdam in the Netherlands. Lieke loves water sports and wild swimming.